Man Utd boss Jose Mourinho made no effort to hide his disappointment in Marcus Rashford’s miss against Young Boys, and Gary Lineker wasn’t impressed. The incident occurred in the first half, as United toiled in their Champions League clash and were unable to find a breakthrough against their Swiss opponents. 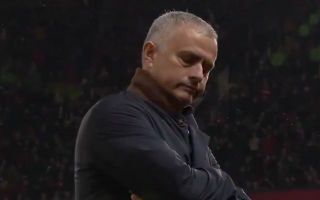 As seen in the video below, one miss in particular from Rashford left Mourinho far from impressed as he turned to his bench and shook his head in pure disappointment that the England international hadn’t broken the deadlock. Instead, Man Utd had to wait until injury time for Marouane Fellaini to step up and score the winning goal which ultimately secured their place in the knockout stage of the competition. As seen in the tweets below though, Lineker was scathing in his assessment of Mourinho’s reaction, insisting that he would be ‘absolutely livid’ if he saw his manager react in such a way to one of his misses. It remains to be seen how it affects Rashford as he will undoubtedly see it, but Lineker is convinced that nothing positive can come from it and wasn’t shy in criticising Mourinho for what he believes was a wholly inappropriate and unnecessary public reaction.